Whether you have a vintage inboard ski boat, small pontoon, or fishing boat, MAX has a lift for you. 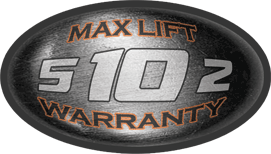 Each lift is designed to be the best in it's class, with features you can count on. 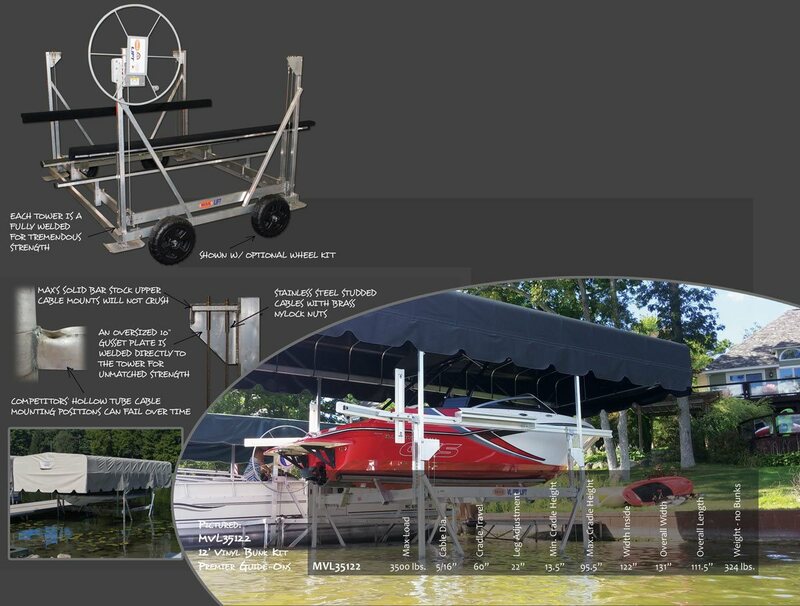 All lifts in this class feature Nylatron® pulleys, tower quide rollers, stainless leveling cables, 84" tall welded towers, and industry leading lifting Heights to make sure your boat is out of the water and well protected. Jerry from Michigan explains why he chose a Max VL Pro Liftsystem with Max's Stordry Canopies to enhance his lakefront experience. The MVL35122 is designed to fit classic inboard ski boats or lighter pontoons, and features a heavy duty winch box with electric power options. Coupled with the Secure canopy system, this package offers excellent protection for your boat at a great value. Add MAX vinyl aluminum bunks, motor stop, or MAX Quide-Ons to offer the ultimate protection for your rig. The MAX MVL35122 features welded V-Tower Frames for easy access, and many of the other benefits found on the MAX VL Pro Series of lifts. Shown at Left: Optional 12' Vinyl Bunk Kit, Carpeted Guide-On System, and Universal Lift Wheel Kit.